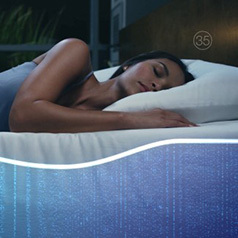 The Sleep Number 360® smart bed integrates hardware, software and design to deliver smart, effortless sleep. 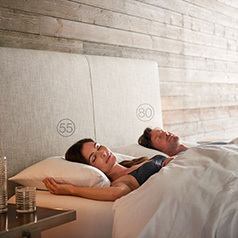 Powered by the SleepIQ® technology platform – Sleep Number's proprietary biometric sleep tracking system – the bed intuitively senses and automatically adjusts comfort to keep both partners sleeping soundly all night. 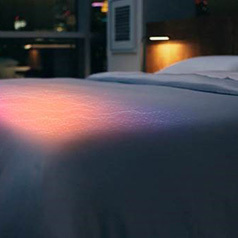 Self-adjusting comfort throughout the night. 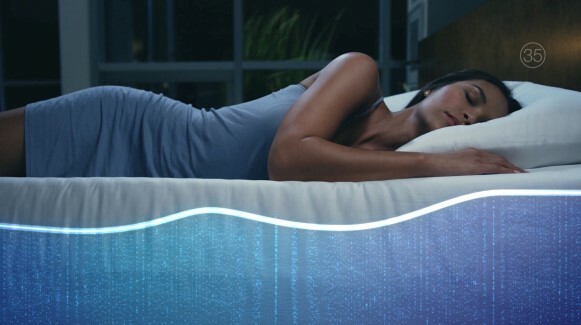 As sleep positions change during the night, ResponsiveAir™ technology adjusts the bed's comfort automatically – gently contouring to side, back or stomach profiles. 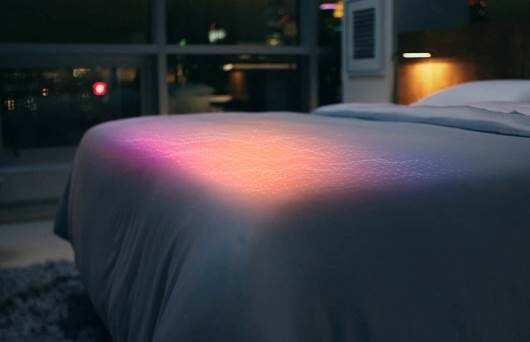 For example, when a sleeper moves from their back to their side, SleepIQ senses the movement and automatically softens the mattress comfort (amount of air inside the chamber), allowing the mattress to contour to the sleeper's side profile and alleviate pressure points. Foot-warming feature to fall asleep faster. Research shows that people fall asleep faster when their feet are warmed. Through SleepIQ technology, the FlexFit 3 smart adjustable base knows the sleeper's bedtime routine and warms the foot of the bed automatically before bed. 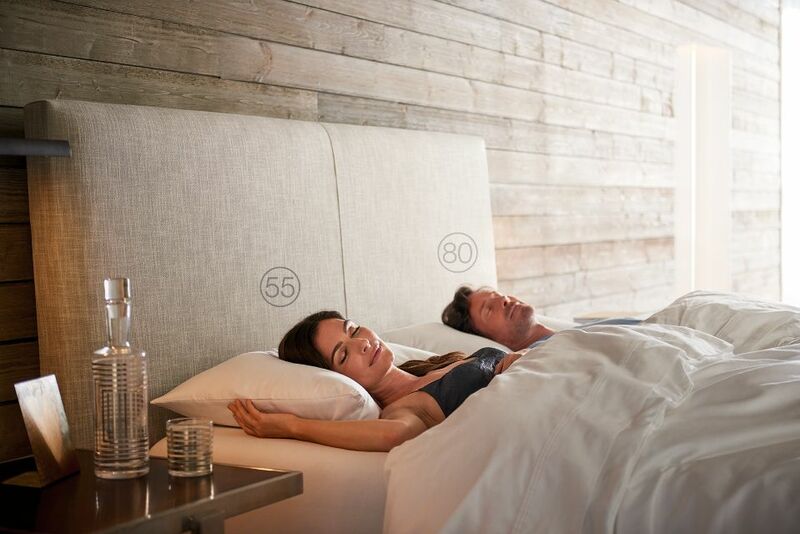 The new Sleep Number 360 smart bed provides an individualized sleep experience that syncs with other health and fitness apps. For example, SleepIQ® data integrated with Fitbit® activity data offers insights on how a fitness routine impacts sleep. And SleepIQ works with the Nest Learning Thermostat™, which allows the sleeper to identify the optimal bedroom temperature for sleep. Following the release of the Classic Series, a Queen c2 Sleep Number 360 smart mattress and a FlexFit 1 smart adjustable base will start at $2,298.